It’s the middle of winter and many athletes are cooped up inside, waiting to get back on the playing field. 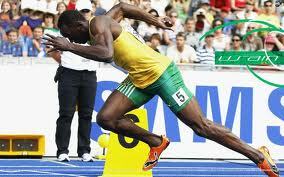 What an athlete daydreams about during this down time may dictate upcoming performances. If given the choice the between two crystal clear scenarios, which is the better image to hold in mind in preparation for next season? 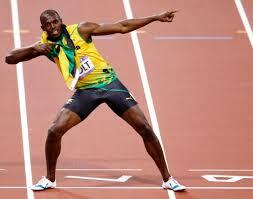 A simple google search of “Usain Bolt” provides numerous photos, most of which relate to scenario #1. Based on the images we are bombarded with throughout the day (this is just one example), it’s no wonder attention tends to drift toward the lavish scene of victory. However, those who are looking for a little boost in performance this season should start holding onto image #2 – and here’s why. It takes lots of #2 (gritty effort) to attain just a few moments of #1 (victory and celebration). Gritty effort overcomes difficult conditions. Gritty effort steps up against tough competitors. Gritty effort occupies the majority of training and competitive endeavors. Victory and celebration, even after a monumental win, lasts for a few hours at most – until the gritty effort must begin again. Those who focus their thoughts and energy on consistently making a gritty effort maximize their potential on a daily basis. While the snow continues to fall and temperatures plummet, continue building a strong foundation by clarifying images of how you hope to compete on the field next season – overcoming moments of doubt and fear with tenacity, patience and energy. While winter weather may deny a physically gritty effort on the playing field, it does not have to contain the feelings, emotions and images that come along with it. Enjoy the competitive fire all year long!